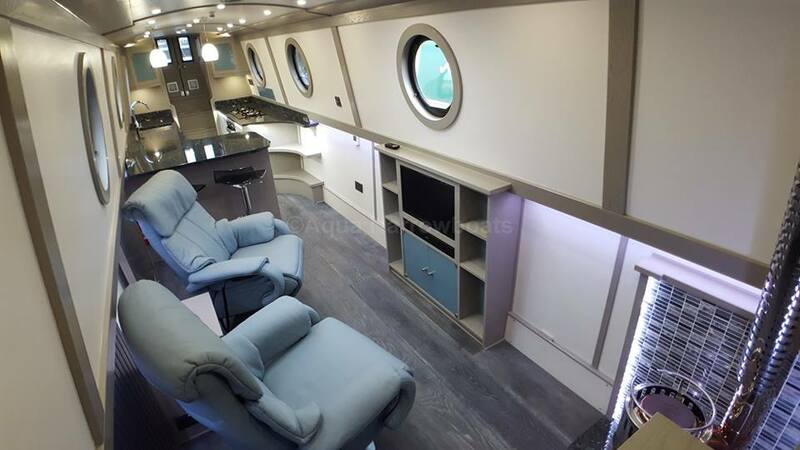 ‘Riverside’ a 65ft narrowboat of reverse layout was completed by bespoke narrowboat builder, Aqua Narrowboats, in February 2018. 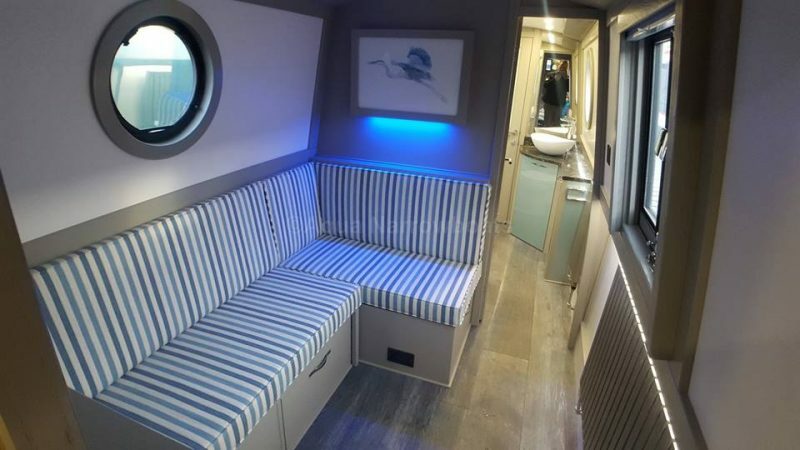 She is an impressive bespoke narrowboat, with beautiful blue/grey interior reflected throughout the boat with clever lighting, reflective mirrors and glass doors. 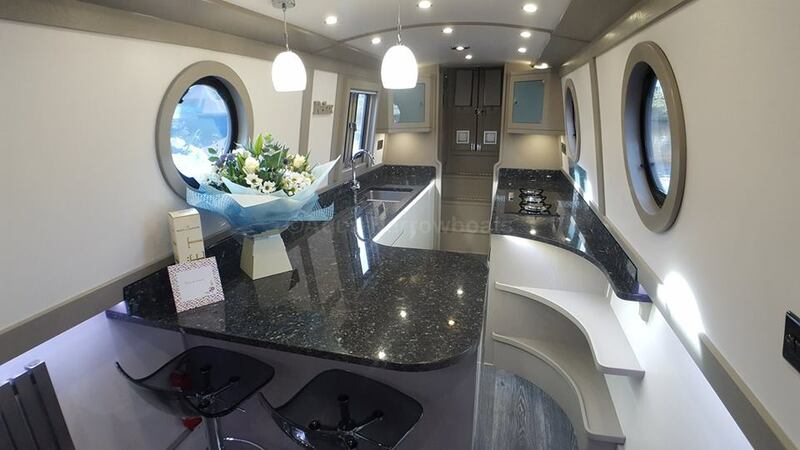 Before our first purchase we had hired various narrowboats of different lengths covering all three stern designs and visited many boat shows including Crick in our research for the boat of our dreams. 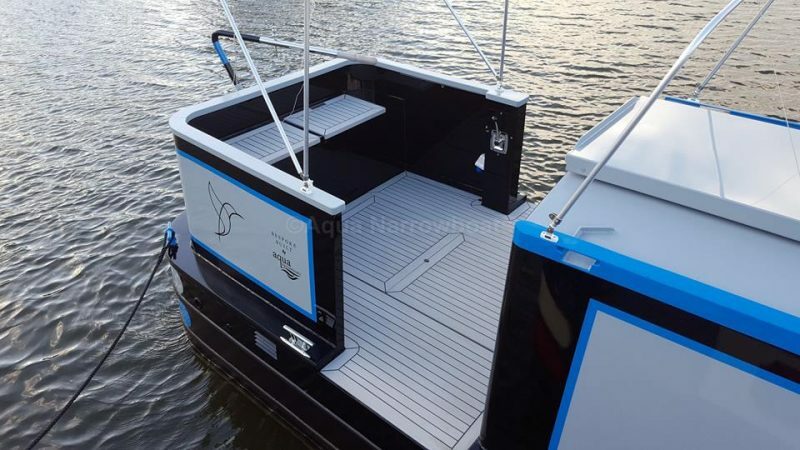 The finished result was beyond our expectations, we dared to dream and our dream was FULLY delivered by the Aqua Team and their partners – simply stunning!